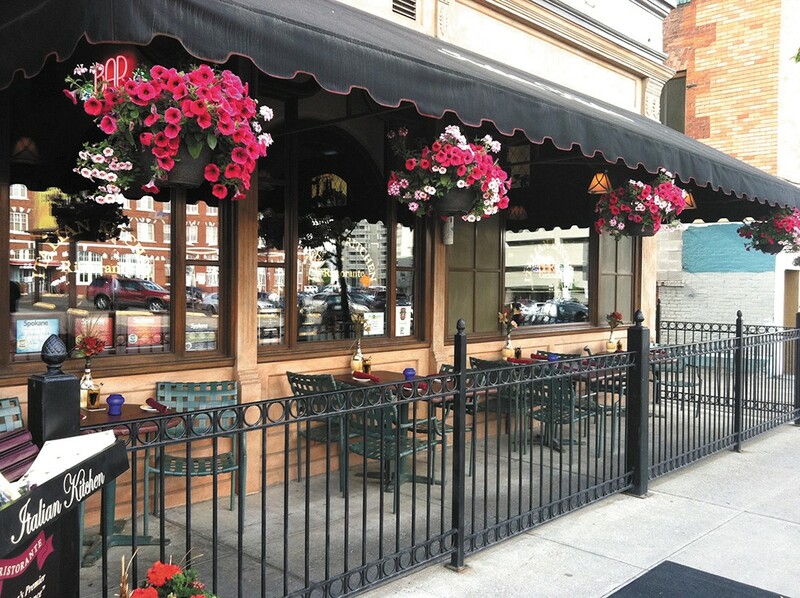 Italian Kitchen continues its consistently good food in downtown Spokane. Everything at Italian Kitchen is just as it's always been: same delicious food, same beautiful décor and same great, friendly service. The lasagna and ravioli, made in-house, are fan favorites (we can see why; both are delicious) and the restaurant's most popular offerings. They're offered in small and large dishes to accommodate appetites of all sizes and help people leave room for dessert — which you really shouldn't discount. Happy hour, weekdays from 3-6 pm, features $2 draft beers, $3 well beers and $4 glasses of wine, plus $3 off all appetizers. If you can't get out of work early to indulge, the beer is always on tap, the wine always available. Lunch runs from 11 am until 3:30 pm; dinner is from then until the restaurant closes: 9 pm during the week, 10 pm on weekends.